You’re about to make a New Year’s resolution, aren’t you? This is the year you’re going to start exercising, right? Maybe you’re thinking you’ll get back into tennis or racquetball, but you’re not sure your older joints will take the pounding as well as they did when you were 22. Also, you might have sold your racquets at your mom’s garage sale and are leery of the expense of acquiring new ones. I recently played a sport that might solve your problem. It’s called pickleball. Now, to be clear, I don’t want to discourage you from getting into tennis, racquetball, MMA, or whatever you want to try. Those are all great sports, and whichever one helps you keep that resolution is fine by me. If you already like racquet sports, though, or think you would, it’s worth exploring pickleball, too. If you’ve ever played another racquet sport competitively, you’ll pick it up quickly. I played high school tennis, but I haven’t played the sport regularly since then (and I wasn’t that good back in the day –– just ask my former double partners). Within minutes, however, I was keeping rallies going and playing games. 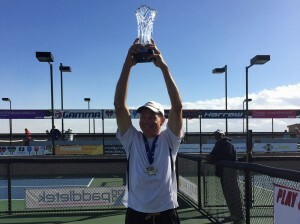 One of my playing partners, defending senior (50-plus) national singles, doubles, and mixed doubles champion Scott Moore, says a short learning curve is not terribly unusual for former tennis, racquetball, squash, badminton, and table tennis players. Did you notice how I casually worked in that I was playing with a national champion? I played doubles with Moore and his family and the points and matches were competitive. Do I think he pulled out all his tricks? No way. But my ancient racquet-sport muscle memory allowed me (and him, I am pretty sure) to have a rewarding pickleball experience the first time I played. In fact, Moore said one of the sport’s appeals is that even a player of his level can have a good time playing with partners of varying ages and abilities. You actually use a paddle, not a racquet, and the ball resembles a wiffle ball. You can lay four pickleball courts out on a tennis court at one time, though you do need to add a few lines to make it just right. The net is basically a small version of a tennis net. The court’s smaller size means you’ve got a lot less ground to cover than some other sports, especially if you play doubles (as most pickleballers do). The rules and scoring are simpler than tennis’s (no loves, deuces, or tie-breakers to worry about). Are you considering making pickleball part of your resolution planning? It turns out that a New Year’s resolution from a couple years ago is what got Moore serious about pickleball. 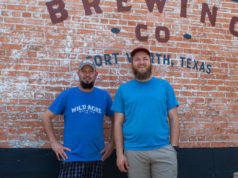 He had grown up in Fort Worth playing tennis and later tried other racquet sports, too. 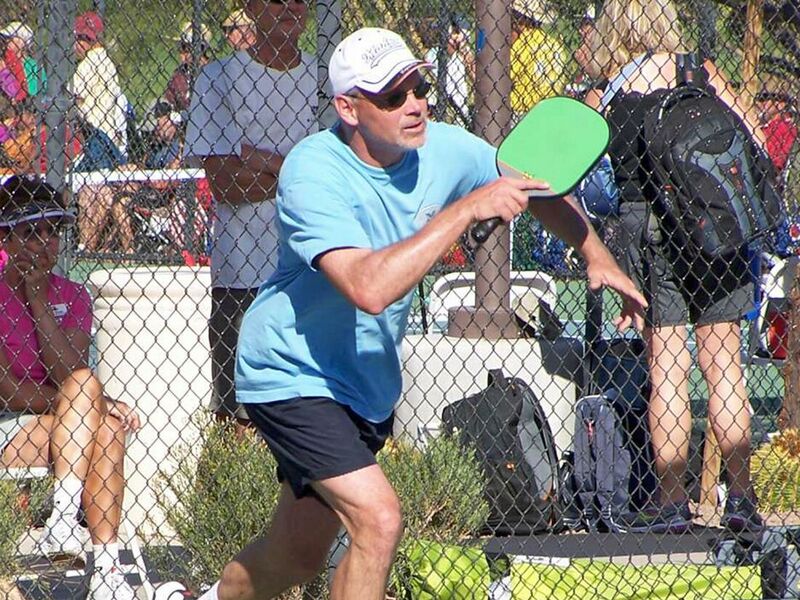 He discovered pickleball a few years ago, and when he started playing it a lot, he found he had natural talent. As 2013 turned into 2014, Moore resolved to get good enough to win on a national level. 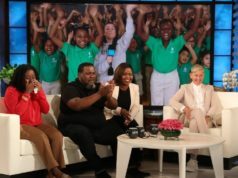 “I embarked on a year-long journey of working out, eating healthier, and practicing and stretching 5-6 days a week, all with the end goal in mind,” he said. He trained hard enough to lose 20 pounds, and became a world-class player. Eventually both he and his son/training partner Daniel won regularly in singles and doubles at the biggest competitions in the country. They are now professional players, and Scott Moore, who currently lives in Colorado Springs, said they earned about $5,000 each in 2015. His own results were remarkable. 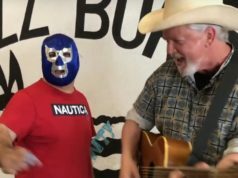 “I became the first ever trifecta winner at the Tournament of Champions, and at nationals as well,” he noted. 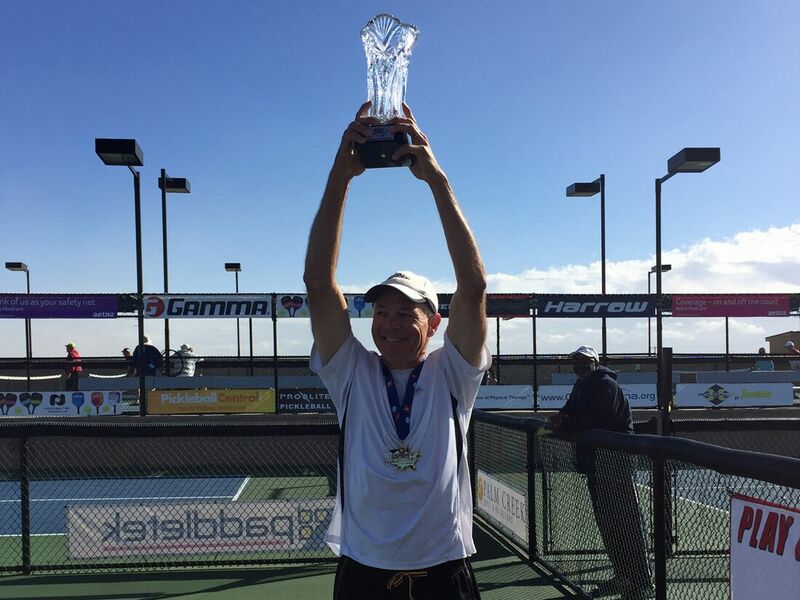 Daniel Moore won big, too, and the father believes his eldest son to be the best pickleball player in the world. 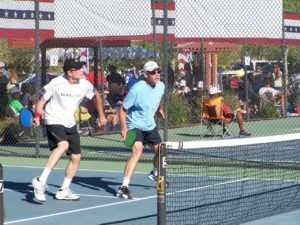 The USA Pickleball Association hosts tournaments and bills the sport, which has been in existence since 1965, as one of the fastest growing in the country. It has proven especially popular in retirement communities, and pickleball seems to be seen as a more viable lifetime sport even than tennis because of its lower movement requirements. I also think younger children might find it an easy entry into the world of racquet sports because of the smaller courts. The cost of entry is often lower than some other sports, with a good paddle costing $70 (and cheaper ones less) and durable balls upwards from $3. Net systems, if needed, are under $200. Scott Moore represents paddle manufacturer Paddletek, and more firms seem to be getting into the sport, as global brand Wilson did in 2013. Tennis clubs have started to embrace pickleball as a way to retain and recruit members. Some of Fort Worth’s private clubs have lined courts (we played at Rivercrest), but the sport hasn’t taken off in Texas yet. Perhaps your resolution will jumpstart it. By the way, actual pickles have a lot of nutritional value, if you don’t have a dietary issues with salts and avoid the ones with substantial sugar. So a resolution that involved eating more pickles and playing some pickleball might really make 2016 a happier new year.